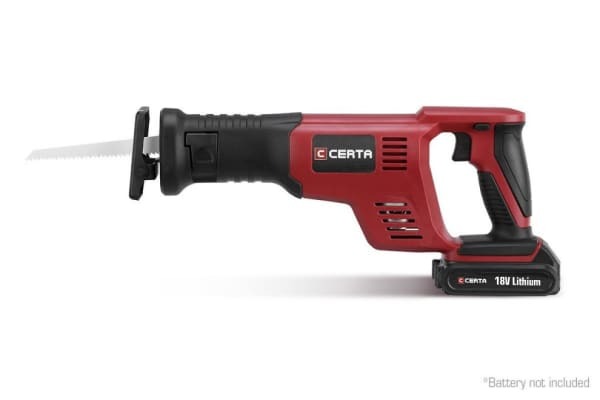 Cut smoothly through a range of material right from metals to plywood to plastic with this reciprocating saw. 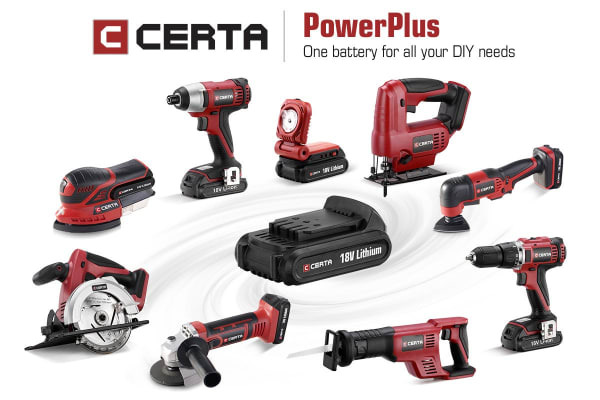 With a design that spells effortless handling, the Certa PowerPlus 18V Cordless Reciprocating Saw makes it super easy to complete DIY jobs quicker. 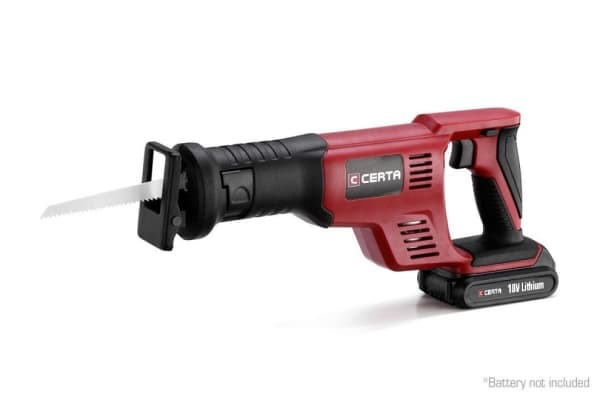 Its ergonomic, comfortable handle lets you grip it well to cut through plywood, metal or plastic pipes with precision. Enjoy complete freedom of movement around your workspace thanks to its cordless design. Getting more advanced cuts is easy too with its pivoting blade shoe that changes angles without any fuss. What’s more, you can replace old or worn out blades easily and quickly to keep your saw always at its sharpest! 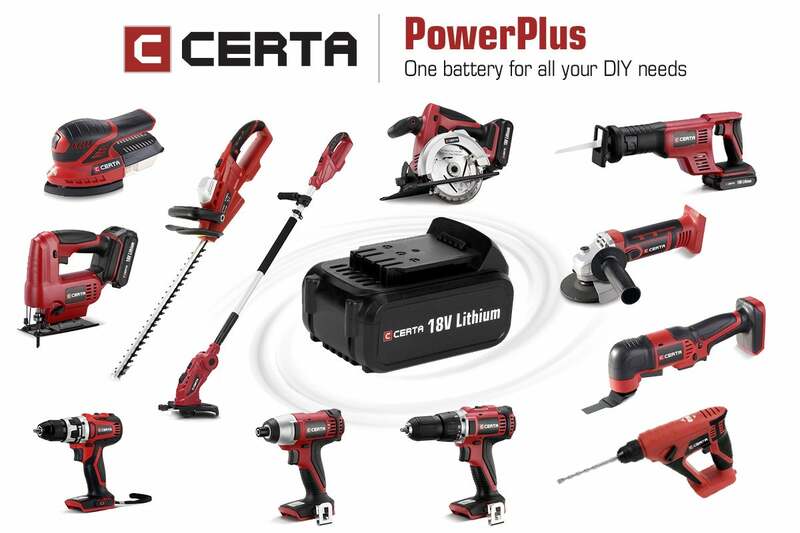 Compatible with the Certa PowerPlus 18V Lithium Battery (not included) and Certa PowerPlus 18V Rapid Charger (not included).